What’s at the end of this sidewalk? Is it different in the dark? I can’t see beyond where the immediate light shines. Future is a mystery. So I depend on faith for my future, affirmed by what I’ve experienced in the past. I trust Jesus, the Light of the World. He’s been with me every step of my life, lighting the way as I needed to see, and guiding me when I was walking through the dark times where I couldn’t see, when He called me to simply follow Him. 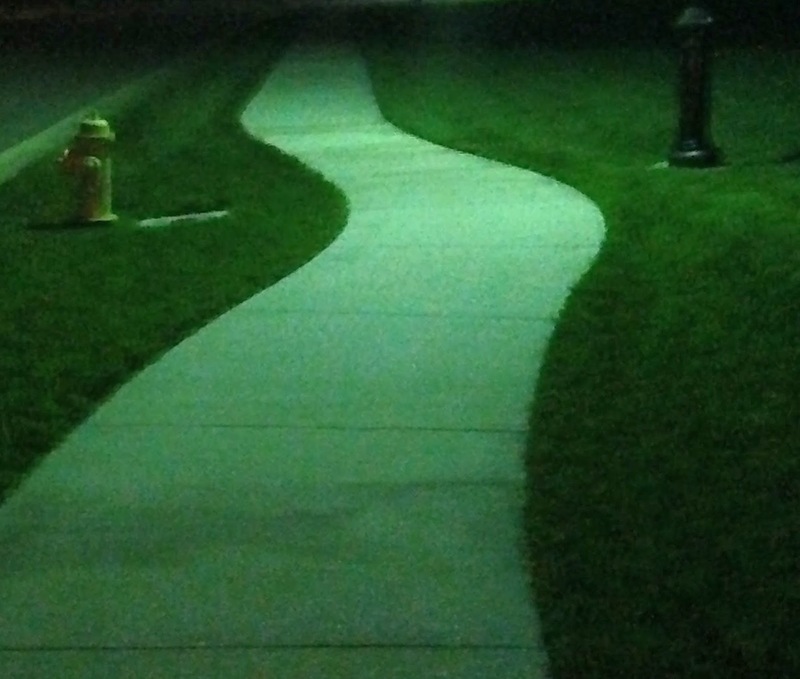 He has led me, is now leading me, and He will continue to lead me, curvy path and all.